The Congress of Aboriginal Peoples (Congress, CAP) is the national political organization that advocates on behalf of the rights and interests of status and non-status Indians, Métis and the Southern Inuit of Labrador living in urban, rural, remote and isolated areas of Canada. The Congress is also the national voice for its affiliate organizations throughout Canada. 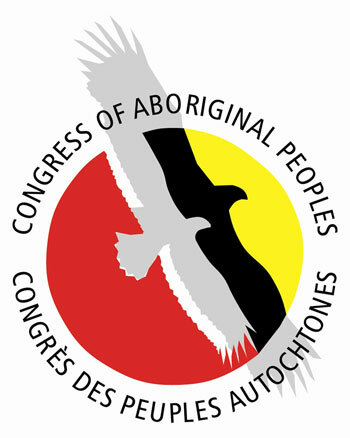 The Congress has an elected National Chief and Vice-Chief and is one of five federally recognized National Aboriginal Organizations in Canada. Since 2004, the Congress holds special consultative status with the United Nations Economic and Social Council (ECOSOC). The Congress has been at the forefront in the design and implementation of programs and projects for off- reserve Aboriginal Peoples since 1971, developing programs on housing, economic development, skills training, healthcare, education, finance and governance. The Congress seeks input, engages in discussions, conducts research, shares information, forms partnerships, exchanges ideas, discusses policy recommendations and raises political awareness with Ministers, federal departments, House of Commons and Senate Committees, federal agencies, nongovernmental organizations, businesses, media and the public.